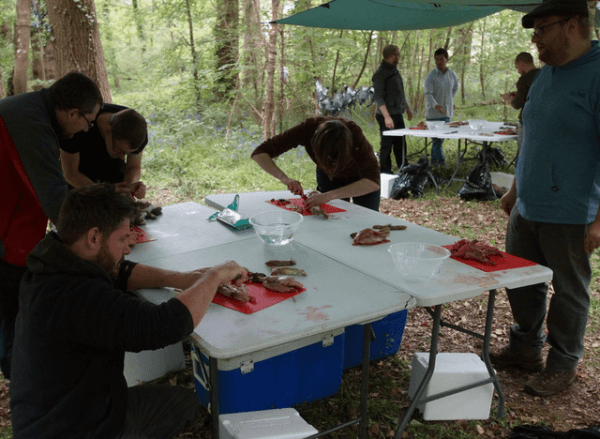 Wild game such as venison, rabbit and pigeon are becoming increasing popular and this course is designed with that in mind. 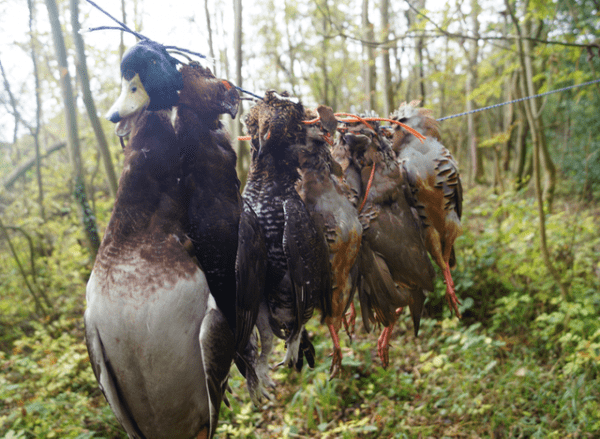 You’ll get hands on with the butchery of large and small game as well as wild fowl. By the end of the day, you will walk away with a selection of the meats you’ve prepared during the day. This will include a minimum of 1/4 of a deer, pigeons and rabbits (subject to availability). We also include a selection of tasty recipes for you to try out when you get home. How to make marinades and much more! 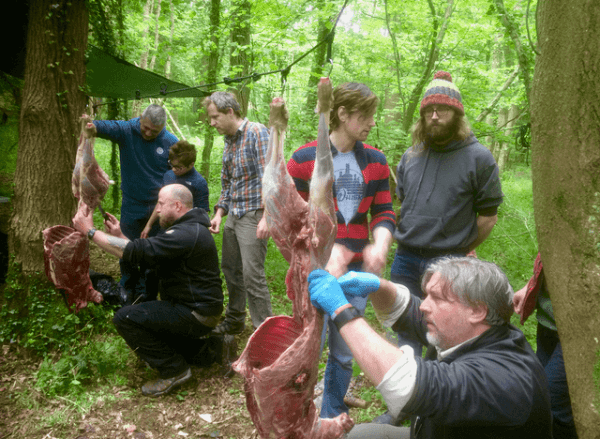 Our instructors will guide you through how to firstly skin the deer, removing the ‘natural packaging’. You’ll then be taken through the anatomy of the deer, looking at the muscle and bone structure. Then the butchery starts, as a group you’ll begin to remove the flanks, fillets, tender loins, haunches, and ribs from the deer. We’ll then move to the next stage of preparation, which involves de-boning the venison haunches and jointing up the meat. Once the venison is fully prepared you’ll be shown how to make a selection of marinades for the steaks. The time has come to split the timber in half, here you’ll use a number of tools, from a froe, axe or wedge to split the wood evenly. At this point, you’ll sketch the design of your kuksa onto the timber and begin to carve the initial shape of the kuksa by removing the material from the bowl. This brings us to lunchtime. Together we’ll cook up some of the versions you prepared earlier, along with local seasonal produce, for a hearty woodland lunch. During this session, we’ll guide you through some handy campfire cooking techniques. Finally we’ll move to rabbits. 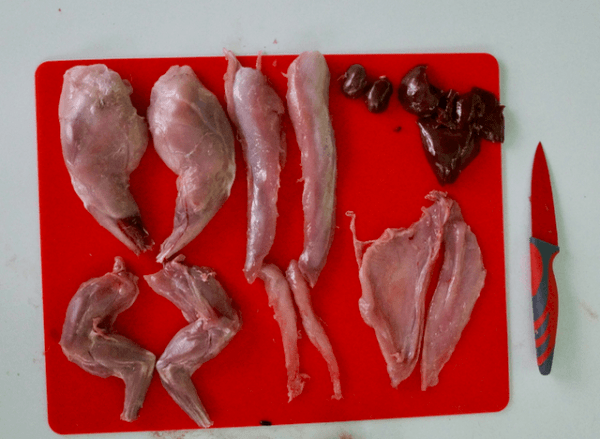 You’ll be taken through how to skin and prepare rabbits, removing the various cuts of meat in turn, we’ll then guide you through how to joint up the rabbit and prepare it ready for cooking. All good things must come to an end, time to pack up and head home. At the end of the course all the meat prepared during the day will be shared between the course members. You’ll walk away with a cool box full of devious wild game and a selection of recipe cards for you to try out when you get home. Spend the week in the woods weaving, carving and crafting utensils, cups and containers from natural materials. 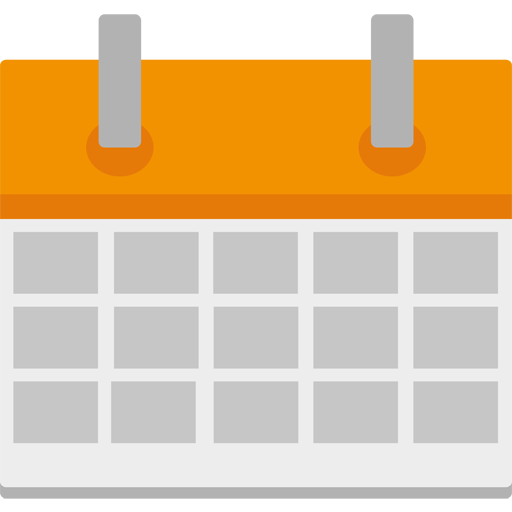 Each day you will be introduced to a new craft and gather the raw materials needed to make the craft item. 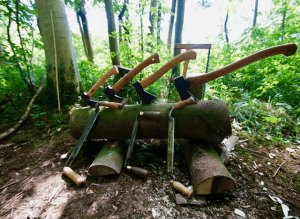 Our expert instructors will take you through how to use the various woodsman tools such as axes, draw knives, gouges and carving knives that make crafting these items possible. 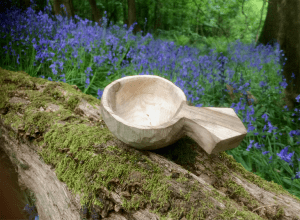 The kuksa carving day is just that, a crafty day learning how to carve with green wood to create your very own Kuksa. The name kuksa derives from the Scandinavian word meaning drinking vessel or cup and is traditionally carved from birch wood by the Sami people of the north. 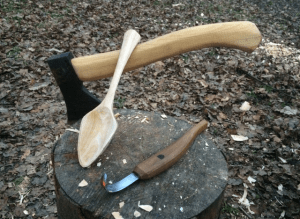 Our Bushcraft Experience course takes you deep into the woodland where you will spend the day learning some of the key elements of bushcraft. During the day our instructors will teach you a variety of bushcraft skills from building a natural shelter, through to preparing and cooking a wild game lunch. 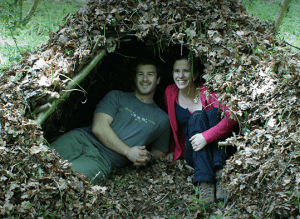 This is a hands on course, giving you the opportunity to delve into the world of bushcraft.